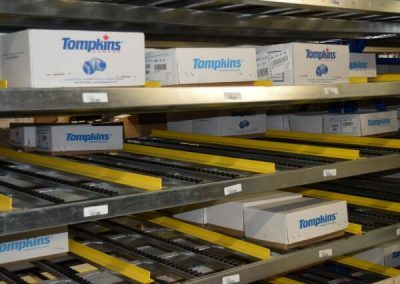 Tompkins Canada is a hydraulic hose and fitting supplier that supplies a very high volume of very little parts across Canada every day. The company is quickly growing and as a result, they struggled with inventory density and lack of space. 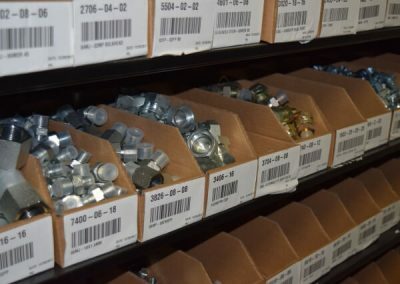 They needed better access to their fastest moving inventory and more space for slower moving pieces. 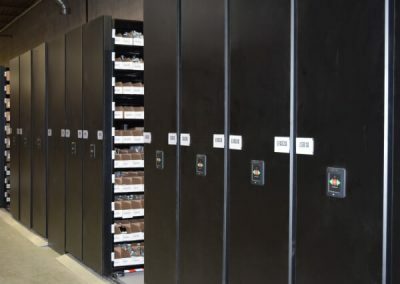 So they reached out to the industrial storage experts at Spacesaver Solutions. 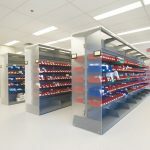 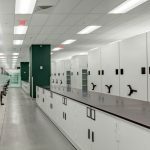 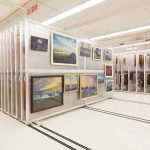 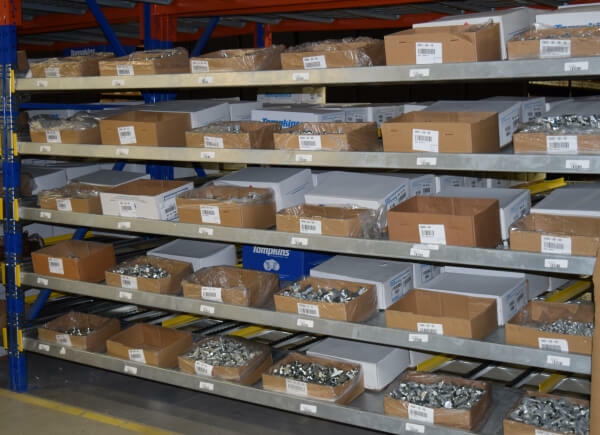 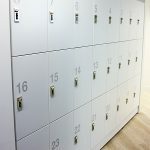 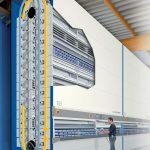 Our storage experts designed a high density solution that would condense warehouse storage, increase pick path efficiency and maximize vertical space that wasn’t being used. 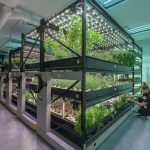 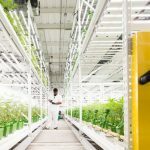 The solution consists of a Wheelhouse modular high density unit with a powered system to allow users to move the aisles with the push of a button. 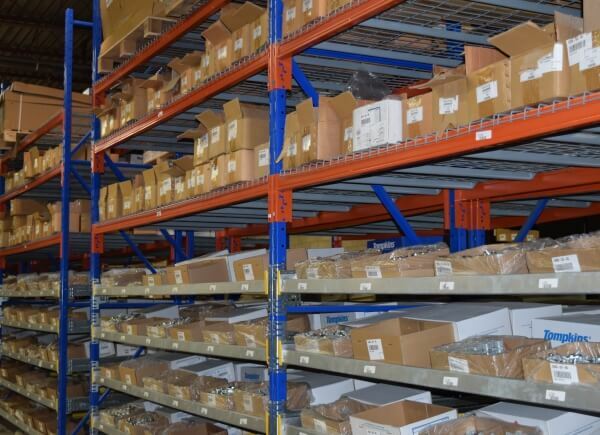 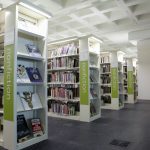 Gravity fed industrial shelving was also used to allow the shelving to automatically restock itself. 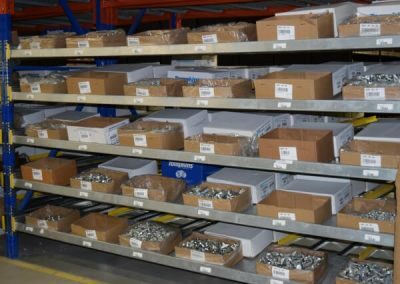 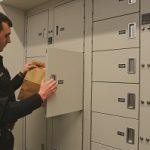 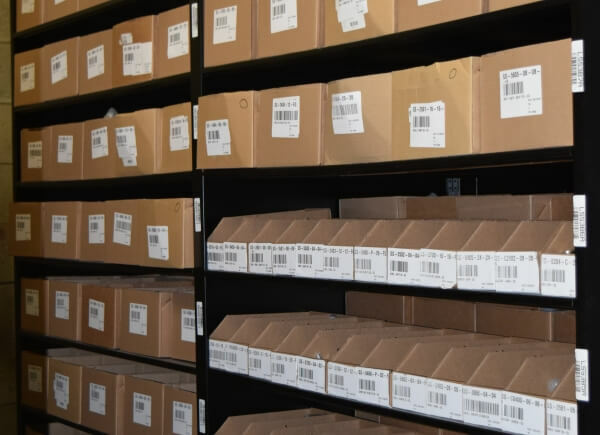 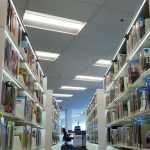 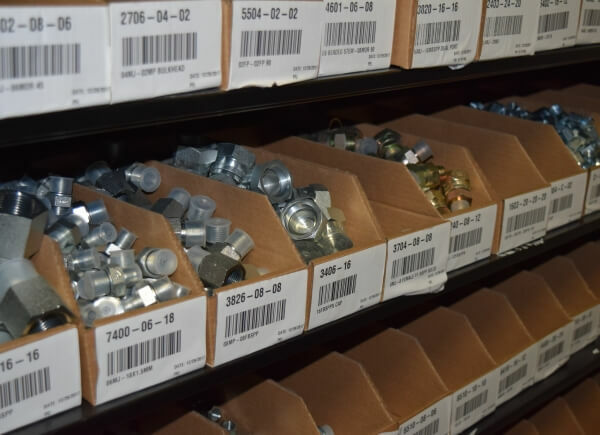 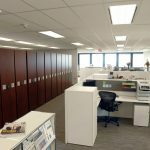 “We called Spacesaver Solutions to help us become more efficient and allow us to hold more inventory as our business grew. The only problem was we didn’t know how we were going to do that. 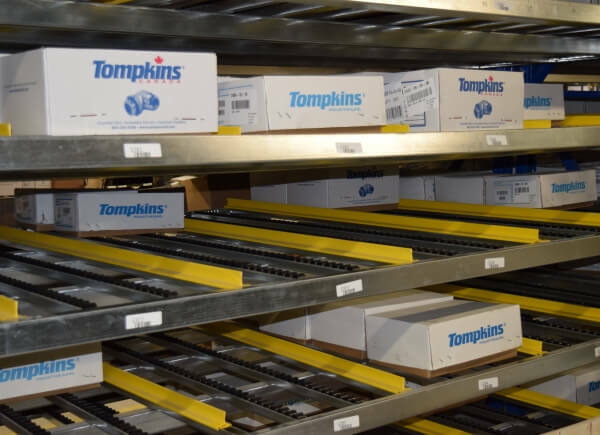 Travis and the Spacesaver Solutions team came to visit Tompkins a few times to get an understanding of our needs. 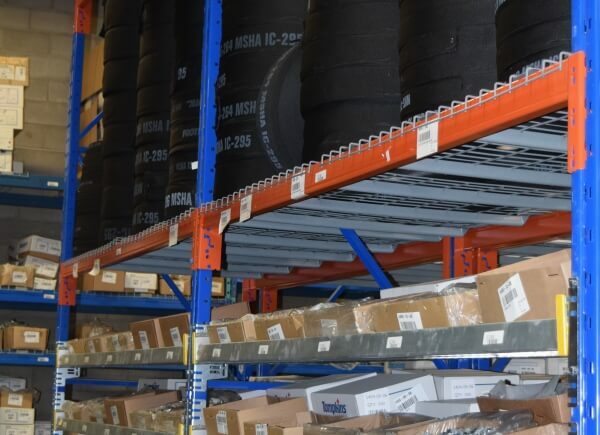 They suggested the gravity feed shelving which ultimately saves our warehouse team from moving parts multiple times within our warehouse before going out the door, and is has been working great for Tompkins. 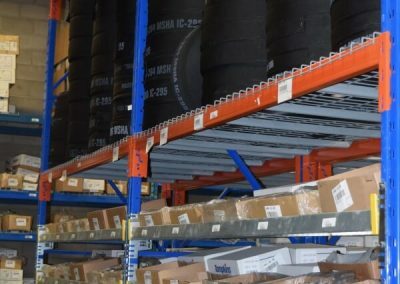 NEED HELP WITH INDUSTRIAL STORAGE?